We are living in a century, where there is no need to search for food, it’s everywhere so appealing, so alluring and, but what’s the saddest, not always healthy! 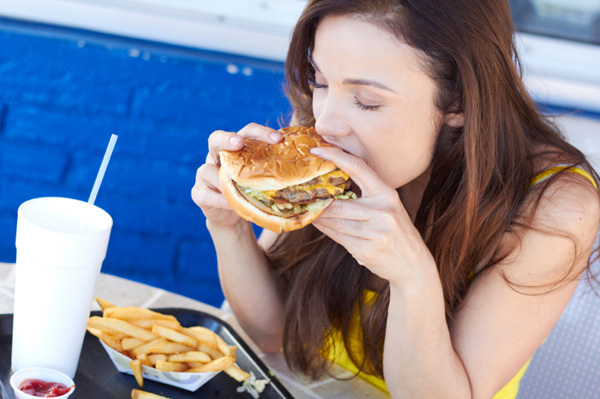 Many people have become the victims of fast foods or just food, which does a lot of bad to their health! Addiction itself is a negative thing, whatever it is, but food addiction becomes the way of living, and some of you may even not realize that you are addicted to something that must be a way just to continue living, for many people it has already become the only thing that boots to continue living! Here we will present some piece of advice from Caryl Ehrlich, the author of Conquer Your Food Addiction! We hope that these tips to stop your food cravings will become the start to control your life! If you want to get rid of your food addiction, first you should admit that you have it. If you really don’t think that you have got the addiction but still eat much and always think about eating, these food craving tips may help you to figure out how much you are addicted to it! 1. You are planning eating even when you are eating. 2. You are eating to be full and not to satisfy your hanger. 3. You start opening the pockets as soon as you reach home. 4. You continue eating even when you feel that you don’t feel hunger anymore. Have you discovered these symptoms in you? Well, be careful, as they are the start that bring to the extreme addiction, you may stop it in a right time if you just pay proper attention to that! There are people that find eating to be their true and best friend when they are angry, anxious, upset, broken or disappointed. That’s reflection, yes it has become a reflection for some of you and that’s really bad! You may not notice how much you eat in such situations but if you just learn that these states bring to overeating you can notice it next time you have any type of mood disorder and the condition will not lead you to even worse one! As nowadays we have many restaurants, cafés and places like that we choose to go there in every occasion, even just for having a short meeting with a friend! But that short meeting turns into a real full lunch and a big proportion of sweet like ice-cream! Caryl Ehrlich doesn’t say to quit visiting such places, it is just about making other things dominant, like the atmosphere, music, and comfort! Food must just be a small addition to your nice time, but not the only reason that you have chosen this or that place! Well, it’s really difficult to stop your food cravings when you are at a party or wedding, which are abundant with delicious dishes! Of course, you are going to eat something, but don’t make that something turn to everything! If you are extremely hungry, just walk by the dishes, look at them like choosing what you like and what not, then go for a plate! When you come back with your plate you will leave out many things that you would grab when seeing for the first time, thus you would not control your hunger! But now you will take less and eat less! For eating even less you may drink a cup of water before eating, that will cut your apatite and you will not overeat for sure! Eating must be a pleasure, but as long as you are getting addicted you don’t get pleasure of that anymore. You get it, chew and swallow. That’s something that you do automatically, you don’t let your receptors feel the deliciousness of the meal, you don’t feel how it melts when you chew and don’t get the taste when you swallow! Now do you see how pleasant eating may be? Don’t live for eating, eat for living! This entry was posted in Fitness and tagged diet tips, weight loss.